So, I found A LOT of mossy cobblestones around the spawn in my new survival game. People said online that it's normal to happen in this biome, but kind of rare also. I can hear some strange sounds comming from below, but I have no idea nor the resources to dig into it right now (I just started the game). Anyone whould like to comment? 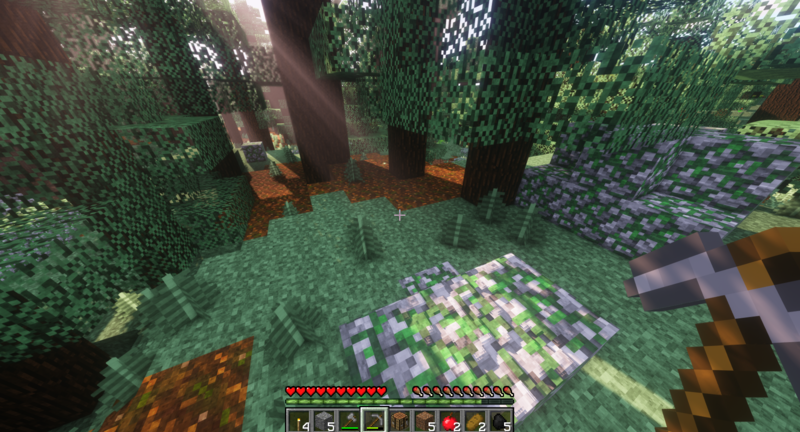 Normal for this biome (one of these, but cant tell which from the pic https://minecraft.gamepedia.com/Giant_Tree_Taiga ). Any of these biomes would be considered rare. The sounds from below would not indicate anything that would not be found beneath more common biomes. Above ground, wolves and rabbits will generate… although getting a pair of rabbits before the wolves remove them is dicey.